TOWSON – A broken ankle helped lead Miya Dubler down a path that could take her around the world. As a Notre Dame Preparatory School freshman, Dubler was set to play soccer, but after breaking a bone, looked for other activities. Dubler was soon enmeshed in NDP’s Refugee Youth Project, volunteering weekly to tutor refugee children at Moravia Park Elementary School in Northeast Baltimore. She was active in the outreach for four years, helping youngsters with homework and communication skills. Most of the children were displaced by conflict in their native countries, said Dubler, a former cellist in NDP’s string orchestra. 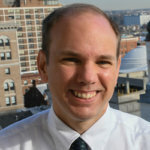 Steven Pomplon, NDP’s director of social service and moderator of the Refugee Youth Project, said Dubler is “committed to transforming the world through education and justice.” He noted that she devoted three hours each volunteer session, working with children with varying levels of English proficiency. 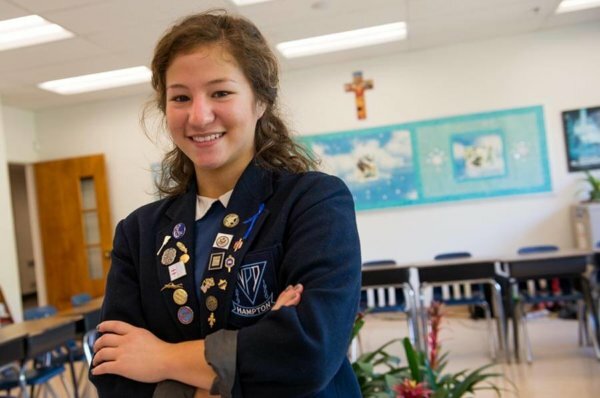 Ranked in the top 5 percent of her class, Dubler helped start NDP’s first model United Nations delegation and served as her school’s secretary of state in the youth and government program. She plans to study international affairs (while learning Arabic) or computer science at Columbia University in the fall, having already taken a dual-credit class in computer programming with Towson University. Because her grandmother is an immigrant from Tokyo who married a U.S. serviceman, Dubler also wants to learn Japanese. Although Dubler plans to continue reaching out to refugees, she believes volunteerism is just the beginning. Editor’s note: The print version of this story noted that Dubler would attend George Washington University in the fall. After the Catholic Review went to press, she decided to attend Columbia University.